Add a warm and rustic touch to your interior with this sublimely fabulous designer accent pillow. 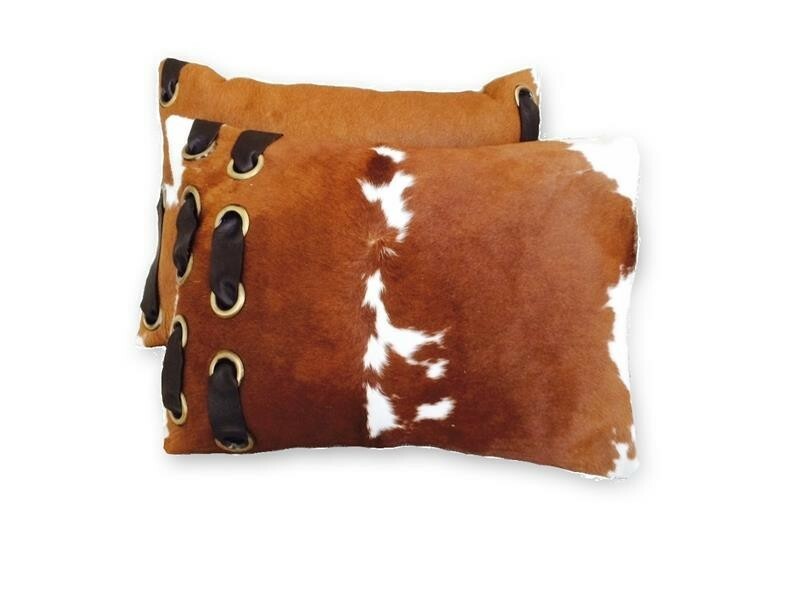 Made from rich and textured cowhide, this brown and white pillow is perfectly finished with a double brass and ribbon detail. Use this pillow to dress up a sofa, chair, or decorative bench.